A grisly, 80’s-styled dystopian nightmare struggling to show redemption in its own storyline. 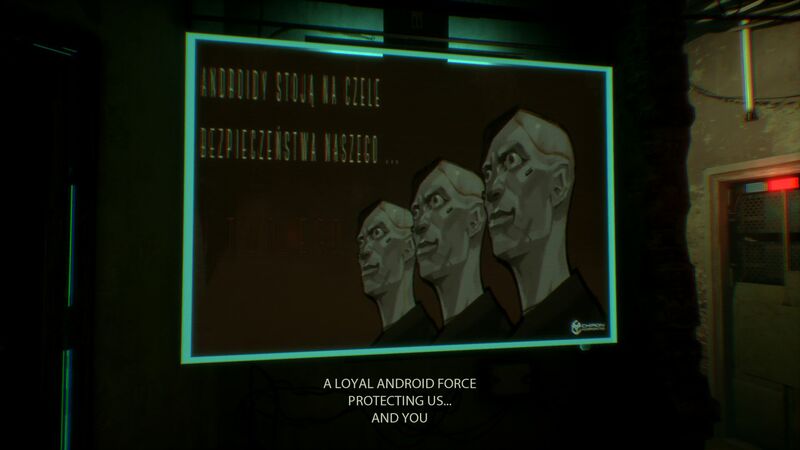 >observer_ (Observer) is set in cybernetic dystopian Poland in the year 2084. You are Daniel Lazarski, a cyber-enhanced detective who can enter the minds of suspects with a device called “The Dream Eater.” Lazarski is voiced by none other than Rutger Hauer, famed Blade Runner anti-hero. The game is created by Layers of Fear studio, Bloober Team. Lazarski works for Chiron, a classic dystopian mega corporation overseeing, well, everything. Chiron is responsible for wars, class struggle and inequality, and has infiltrated every part of the world with its cybernetics. The nanophage, a disease brought on by this cyber augmentation, runs rampant and is responsible for the death and maiming of thousands (a nod to Bioshock). Dan starts out at a decaying apartment block after experiencing a glitch-ridden radio encounter with his estranged son, Adam. Lazarski immediately sets out to uncover the reason Adam reached out, launching him on a gruesome chase for his son and a newfound murderer. Shortly after entering, Lazarski finds himself and the building in lock-down thanks to a nanophage scare, and cannot leave or radio for backup. Lazarski must use his detective mind and equipment to piece together what is happening with a building full of society’s rejected residents. Quickly, the line between observing a resident’s mind and becoming an active participant becomes unclear. Players are forced to relive the resident’s darkest memories in Dan’s burrowing search for the truth. As Dan continues to connect with residents’ brains, his own dark memories and regrets are tangled with the Observed’s. The harder the push for truth, the more blurred the lines become. Connections with Dan’s memory device are brutally terrifying. 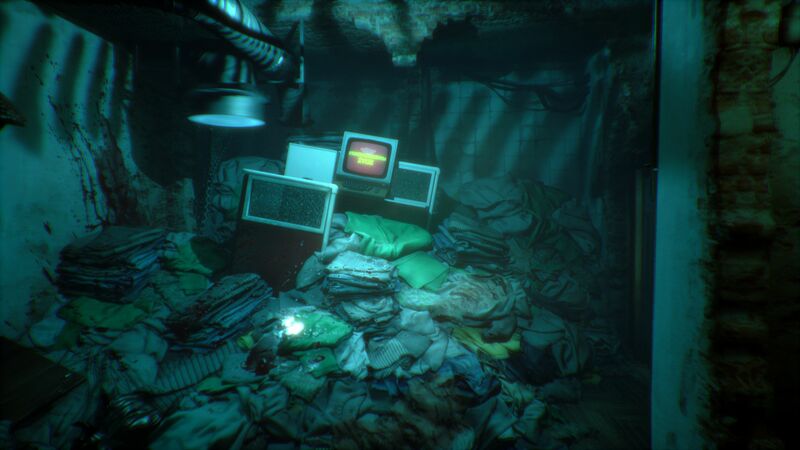 Environments constantly shift in this waking nightmare, and an audio / visual tornado creates confusion and disorientation, causing players to question what they just saw or heard. These trips are psychedelic euphoria trolley rides. The deeper Dan goes, the more unstable he and the player’s HUD becomes and the use of synchrozine (scattered throughout the game) must be used to dissolve the effect. The apartment and surrounding ambiance are teaming with the mix of futuristic and 80’s technology cross-over you’d expect in a dystopia. Apartment doors are outfitted with monitors that show each person’s solitary eye when activated. Massive cabling lines the floors, hallways, and streets. Propaganda posters line the hallways and streets. Mammoth keyboards and CRT monitors similar to the IBM 5150 or Macintosh are your interfaces. It’s not hard to spot heavy influences from Ridley Scott films such as Alien and Blade Runner. If I had a complaint, it would be the over-use of glitch effects and post-processing. At first, this lends itself well to the nightmarish experience, but it becomes anticipated and even telltale later in the game, though I guess one could argue it adds to the horror ambiance. This dystopian nirvana doesn’t run on nightmares alone; this game requires a beast of a computer. The PCGamingWiki is a great resource for modifying settings if you’d like to try your luck on a mid-range rig and you don’t mind the footwork. 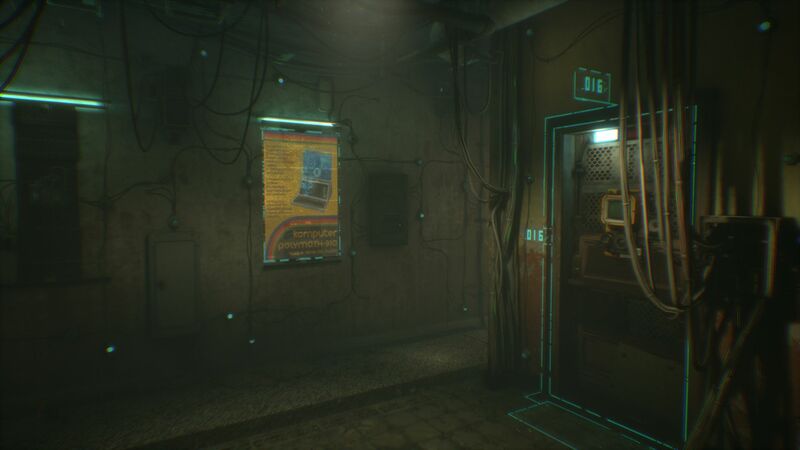 Observer’s gameplay is linear, but the ability to walk around the apartment complex feels as open as it can during the lockdown. One of the many challenges you’ll notice immediately is that of opening doors and interacting with the environment. Players must click-and-hold and move the mouse forwards or backward to create the action of opening or closing doors. Items can be inspected and rotated with the mouse. This isn’t immediately obvious and the awkwardness of the movement never really goes away, although it becomes more intuitive. Be prepared to utilize Dan’s EM Vision (used for electronics) and Bio Vision (for biological objects) is to scan the apartments for objects and technology. A lot. Some scanning is required to progress within the game, but the rest is purely for your enjoyment, although collectibles in the form of nanophage patient cards tucked away in the game might take extra time. 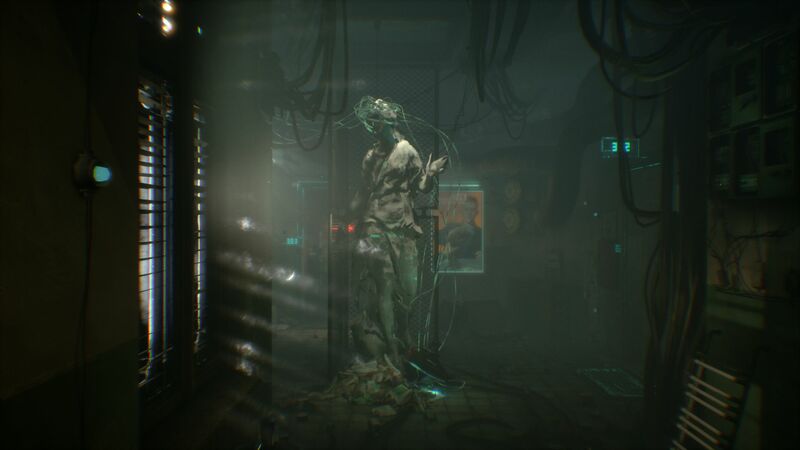 Midway through the game, players encounter the ‘monster.’ Avoiding the monster requires a simple game of hide-and-seek, something that feels akin to Alien: Isolation, but not as horrifying as I’m sure the developers intended. These sequences felt like more of a chore than progressing the game, although I could see the connection. Dying to the monster respawns you immediately at your last checkpoint, which will most likely be only a minute or two in the past. This keeps the difficulty and frustrations low. Reference earlier, the nanophage is a feared disease plaguing the citizens of Poland. The disease is caused be a crucial flaw in the in the programming of nano-machines meant to aid the merging of cybernetics and living tissue. 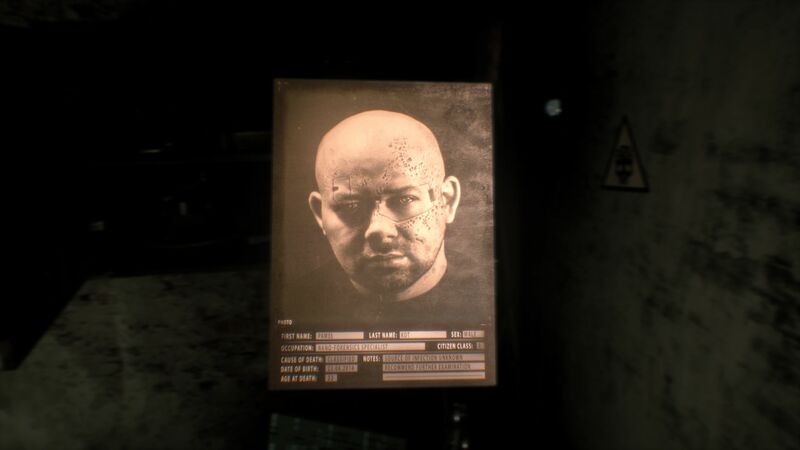 Instead, the disease attacks the host, treating it as hostile and the results are ravaging to the appearance, as the game’s main character and murderer suspect manifest. The story arcs mainly towards Dan, his son, and the murderer, and the apartment citizens don’t seem to have an active role in the grand scheme of the story. This doesn’t necessarily take away from the story, but it seems more of a missed opportunity (especially for the game’s longevity) than anything. The game drives towards a major plot twist at the end, and it felt satisfying in its own right. Perhaps the biggest strength of the game is its own weakness: there are little to no redemptive story pieces to be found. The story is dark, gritty, and full of pain as visualized in observations and encounters with apartment residents. 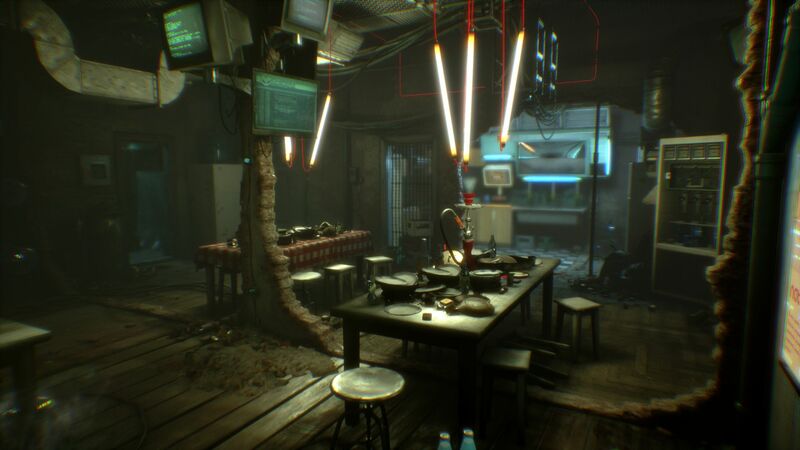 Observer is the grisly horror dystopian you imagine. Quickly into the game, a beheaded corpse must be examined for blood trails and it doesn’t get prettier afterward. Players must observe a gutted body replete with intestines spread across the floor and blood sprays. During the dream sequences, players walk through what appear to be moving intestines lining the walls, ceiling, and floors. Jump scares are (over) utilized and projections of glitchy, shadowy figures are prevalent during observations. The monster you encounter in the game bears the scars of the nanophage with disfigurement and post-apocalyptic appendages a la Fallout. Mature language is rampant; frequent use of god d**n, f***, and s**t. Audio and visual tricks are used to the max to create sensations of feeling unable to move, being watched, and running for your life. The game comes with an epilepsy warning, and I gotta say, having played games all my life I never have felt closer to having seizures after an hour. I didn’t encounter any bugs in the game, except for maybe literally visual bugs during the dream sequences. But what horror medium is complete without them, right? Currently, the game retails on Steam at $29.99 USD, with a historical low of $11 USD. Since you’re likely to only get a solid 6-10 hours of the narrative (a bit longer if you investigate every apartment and find the collectibles), I’d say pick this up on sale if you didn’t pick it up for free via Twitch Prime last year. ☐ Is this the real life? ☐ Read it again, Grandpa! 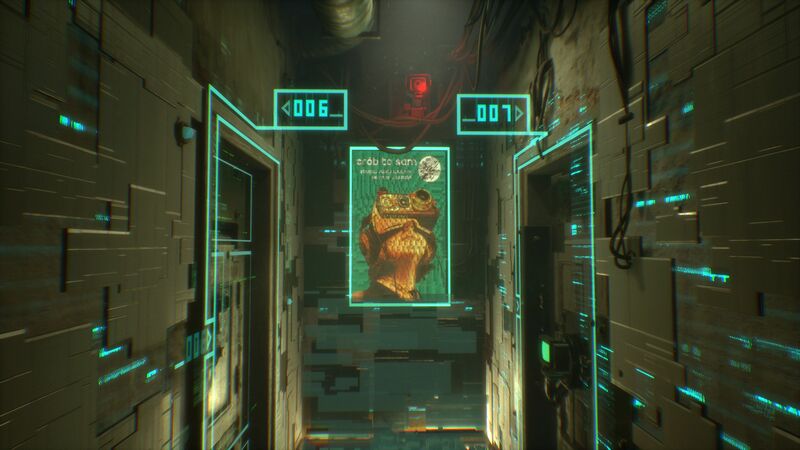 If you can stomach its mature, gritty dystopia, Observer is a haunting experience unlike any other if can get it on sale. I see you. I hear you. Your words matter. Add your own thoughts below.